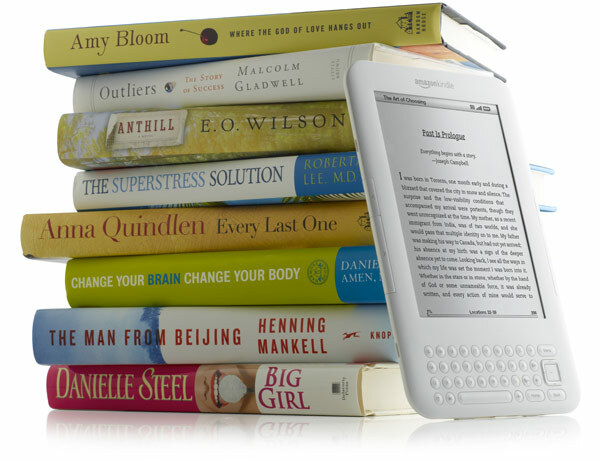 Chicago Public Library recently announced that they have a bunch of books available for checkout on the kindle. The kindle! I love technology. Apparently, once your lending time is done, the book just disappears from kindle. Ergo, no late fees! I gotta say, I like this idea, and if I had a kindle, I would definitely do it. Thank you, Amazon.com. My sister-in-law convinced me to join the relief society book club. Since she and I rarely get to spend time doing anything together as sisters anymore, I gladly joined. Last week I attended the first meeting, and it wasnâ€™t quite as intellectually stimulating as I had hoped. Borders Books is closing its doors all across the world. Personally, I didn't have a strong particular attachment to that store, yet seeing a book store go bankrupt and have to close down is still poignant. Yesterday, my six-year-old brother looks at me mischievously and says, "you're going to die before I get married." "Nuh-uh," I thought. 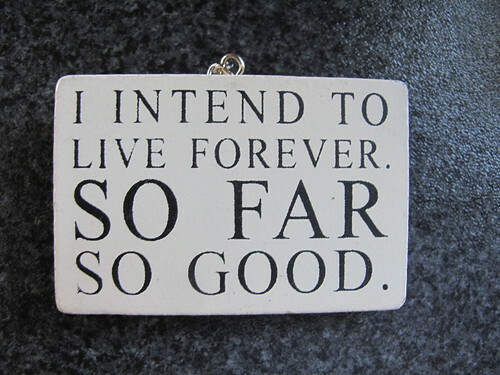 "I'm going to live forever." I looked at him. Thankfully, he didn't have an aura of prophesy about his person. He grinned at me, but didn't speak on, as if that was all he needed me to understand and was quite happy not elaborating. Isn't it weird how you can suddenly feel a hundred years-old? And isn't it weird how one off-handed comment can send your mind reeling down so many paths and leave you sitting open-mouthed a just a bit deflated? So I told him what I thought about his non-sequitur: "nuh-uh." Ron Paul is running for president again, and after watching debate after debate of the Republican candidates, I am definitely for Ron Paul. What is amazing to me is how much the media is over looking him. He is more popular than ever and he keeps winning or placing very high in straw poll after straw poll. Yet it isn't getting covered. Most recently, CNN failed to mention that Ron Paul won their straw poll vote. I was talking to my AZBoy about Ron Paul recently. He told me that he doesn't think that Ron Paul would do well in a general election against Obama. Once again, I disagree. In fact, I think he would likely do better than any other candidate that has put his or her name forward in a bid for the republican nomination. I think that because he would not only have the full backing of the republican party (if he got the nomination), he would also, as he has already done, bring along a lot of liberals who are tired of the war and want a stronger economy. Not to mention, Ron Paul does well in the polls on this as well. Ron Paul gets more campaign contributions for enlisted military than all the other candidates combined. And there is a reason for that. Google Ron Paul. You will like what you find out. 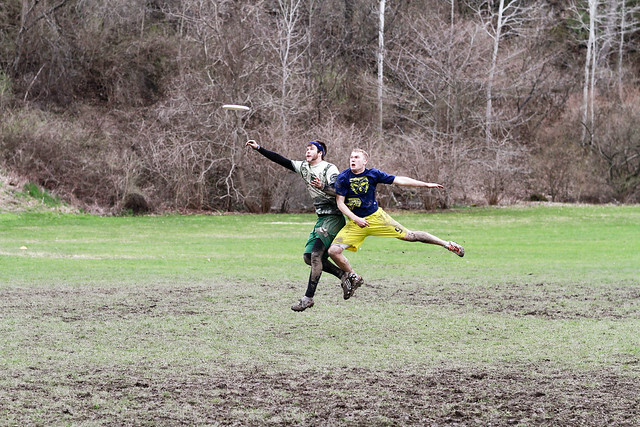 You probably ask yourself everyday, "is ultimate frisbee the greatest game ever invented?" The answer is unequivocally, yes. Now quit introspecting and come and play with me every Saturday morning at 9am. Contact me for details. For those of you that don't know, my parents adopted four kids early this year. As it happens, they are adorable. The youngest is 14 months. The oldest is 7 years old. Today I was left baby sitting the baby, Armando. When he woke up from his nap, there was a pungent aroma about his person. It was disagreeable. So I did what anyone else in my situation would do: I called my dad. "Dad," I said. "Armando has a poopy diaper. Will you be home soon?" What?! I don't do that. That isn't in my job description. However, my father matter-of-factually let me know that it now was. I am not going to describe what followed. Personally, I'd like to forget it altogether. I will say that I was successful, but at what cost? It reminds me of Socrates' famous last words: "I drank what?!" I don't know how I got into that situation, but it was too late. Hopefully, I won't ever have to do it again. Due to an unforeseeable series of events, last year I watched season 8 of Project Runway. I had never seen the show before, and I had no intention to. That's right, ladies and gentlemen. There is a new Rant Fever in town. Version 3.0 comes with a whole new look, an all new backend, and all the old rant posts and comments that you've made in the previous versions of Rant Fever. Feel like the new look could use some tweaking? Want a feature added? Shoot me an email or leave a comment all about it. If you are a ranter, login, and checkout the new administration area. You can go back and read all our old rants in the archive section... do this at your own risk. Going down memory lane is always risky business. Enjoy the new Rant Fever, and don't forget to update your RSS readers with the new feed url.